In an effort to make the solicitation process more efficient and cost effective for both vendors and the City, Gahanna now utilizes an electronic online bidding process through BidExpress for projects and contracts that are subject to competitive bidding. Electronic bids may be submitted through the BidExpress website (www.bidexpress.com) as the primary method of bid submission. 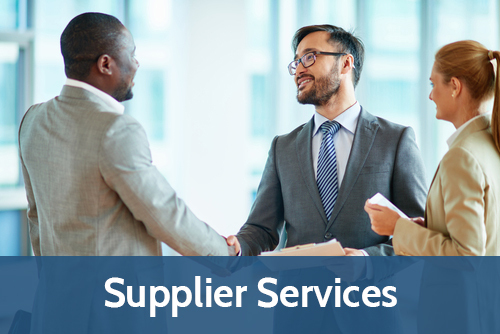 For a limited time, paper bids will continue to be accepted; however, it is strongly recommended vendors become familiar with the electronic process as soon as possible to prepare for future bids which will only accept electronic submissions. All electronic bidders must first register on the BidExpress website (www.bidexpress.com) to create an InfoTech Digital ID which is used to digitally sign bids. Registration is free. It can take up to five business days to process a Digital ID and it is highly recommended that a Digital ID be enabled 48 hours in advance of submitting an electronic bid. Bidders should plan accordingly. Instead of paying paper bidding costs, a fee of $25 will be incurred for those who wish to bid electronically on a pay-per-solicitation basis. Alternatively, a vendor may subscribe for $50 per month for unlimited electronic bid submission for all agencies posting solicitations on the BidExpress website. Vendors can also opt to receive email notifications by agency, work type and commodity code. For additional guidance, please contact the BidExpress team at 888.352.BIDX (2439) Monday through Friday from 7:00am-8:00pm eastern time (excluding legal holidays) or at support@bidexpress.com. This project consists of pavement milling, asphalt resurfacing, crack sealing, street rebuilds, and striping. We will post the low bidder & award date once legislation process is complete. Asbestos abatement and demolition of all buildings, structures and appurtenances located at 181 Granville Street in Gahanna, OH. Please note, a pre-bid meeting for this project will not be held. Project awarded to Steve Rauch Inc (06-20-18). Project will consist of installation of more than 4,100′ of four 1.25″ HDPE conduits and 4,500′ of 288 count fiber optic cable and all appurtenances. Project awarded to The Fishel Company (02/04/19). Maintenance and repair of the street lighting system owned and operated by the City of Gahanna. The work shall include but is not limited to replacing equipment (lamps, lens, photocells, ballasts, fuses, fuseholders, disconnect boxes, fixtures, poles, etc), locating and repairing cuts in underground cables, replacing or repairing defective cable, relocating underground cables as directed and performing other electrical repairs as needed. All work shall be performed in accordance with the Owner’s approved streetlight specifications. The term of the Contract shall be for one (1) year, commencing January 1, 2019 and ending December 31, 2019 with the provision for four (4) separate renewals of one (1) year each upon written mutual agreement of both parties. Contract awarded to Jess Howard Electric (12-25-18). 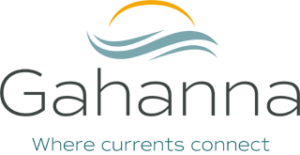 Interested in doing business with the City of Gahanna?Click here to access vendor information.